A puffy face is undesirable in exactly zero ways, but it’s an all too common beauty issue all the same. Whether you’re a sushi addict or the type of person who’s just not very good at drinking enough water (we feel you), a swollen face is never a good look. The best thing about beauty issues? Well, we often know exactly how to solve them. 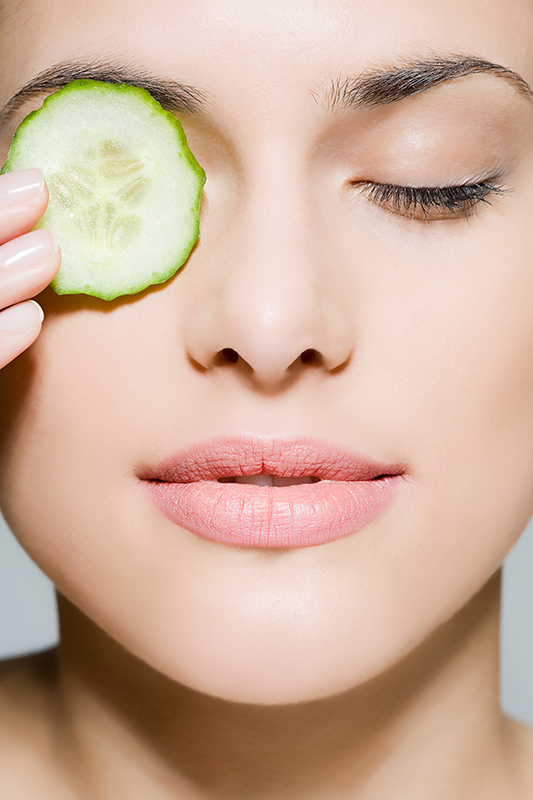 Try these instant remedies for facial puffiness—and get proactive about prevention, too. Cold water constricts blood vessels and calms inflammation, which helps to reduce swelling. A splash of cool (not icy!) water has significant beauty benefits beyond that, too, as it helps to tighten the pores and lessen the appearance of redness. Lymphatic drainage may sound like psychobabble, but massaging the face to help speed along the drainage process is the real deal. It helps to drain the sinuses and reduce fluid retention, which are two of the main causes of a puffy face, especially in the morning. There are plenty of comprehensive YouTube tutorials available, which make easy work of mastering the deceptively easy (and effective) techniques. A puffy, swollen face can indicate a variety of (often minor!) health conditions, like seasonal allergies, sinus conditions, and colds. If you find yourself suffering from a puffy face more frequently than just when you’ve eaten a particularly salty meal or had a rough weekend, you may want to see a health professional to determine whether you’re suffering from allergies. There are plenty of products available on the market that purport to reduce puffiness, but we’ve always liked the DIY approach for our de-puffing problems—they’re much less expensive and, in our experience, can even be more effective. Cucumber slices fresh out of the refrigerator are the classic choice, which makes sense: The cold temperature, plus the high water content, makes them perfectly fit for the task. There are a handful of things you can do every day to avoid facial swelling, if it’s something that tends to plague you. As cliche as it is, drinking water is critical: Dehydration is a leading cause as it leads to water retention, particularly in the face. Make a point to drink enough water each day, from when you wake up in the morning until you go to bed at night, and do your best to lower your intake of foods high in sodium… and alcohol, too.